We are ready to teach beginners informally on Tuesdays, 3:00-8:00 PM, and on Saturdays, 1:00-5:00 PM. Our ongoing “Complete Beginners” class is on Thursdays, 6:30-8:30 PM. All this instruction is free! Beginners on Tuesdays and Saturdays don’t need an appointment, and we arrange individual or small group lessons with volunteers who are ready to teach when you walk in. We have about 30 – 50 players coming sometime on Tuesdays, including about 6 children. Saturdays are smaller, about 15 – 30 players, but we have volunteers available to teach then as well. The day manager, usually Dennis Wheeler 7K, is also available to teach beginners from 1-5 PM, as well as “John Boy” Richards. If you already play on a 19×19 board, and can finish a game but are not a strong player, then the “Double Digit Kyu Player” class on Mondays is a good choice (20 kyu – 5 kyu players). This class meets from 6:30 – 8:30 PM. The first class in the fall is on Sept 11, 2017. Our instructor, Nick Sibicky 4d, usually gives a one hour lecture, and then there is time for a game or go problems afterwards. You can view past lectures on Nick’s YouTube channel. There are more than 300 lectures, and they are watched world wide. 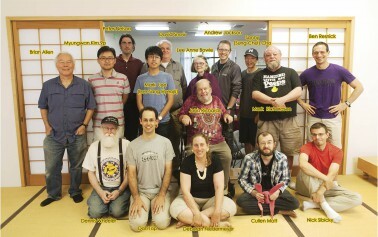 There is another class for players in a similar range, 25 kyu – 10 kyu, on Wednesdays, 7:00 – 8:30 PM. This is the “Go Basics” class, taught by Drew Barnett 1d, starting up January 2019. Building from the fundamentals of shape and connecting, cutting, and capturing, Drew aims to build over weeks toward a single-digit kyu level of understanding. 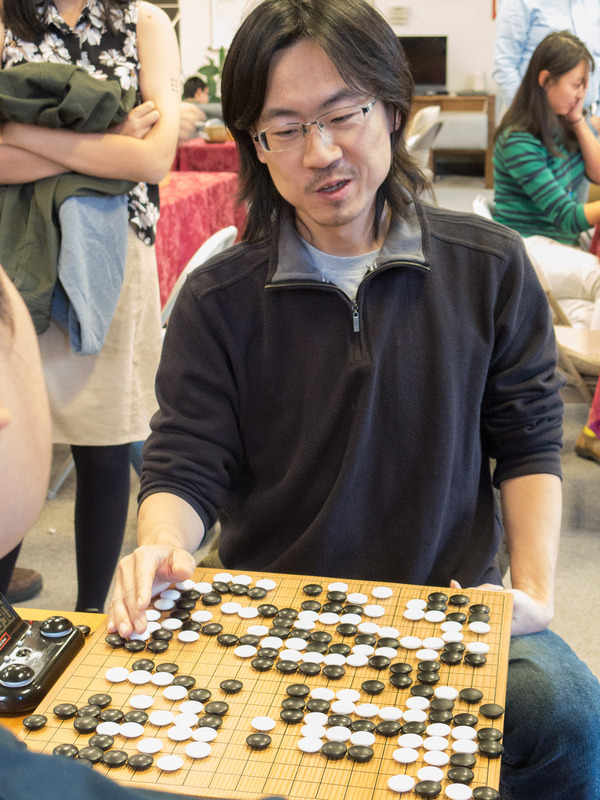 If you are in the 9 kyu to 6 dan range, then we recommend the “Advanced Go” class on Thursdays, 7:00-9:00 PM, starting January 17, 2019. Taught by Yue Zhang 7d, instruction will include a novel mixture of lecture, live play, and AI-assisted game review. Having placed 1st in the 2016 Seattle Anniversary Open and the 2018 Spring Open, and with a PhD and extensive experience teaching college, Yue is well qualified to help single-digit kyu and dan players “accelerate up the learning curve.” Tuition for this class is $25 per two-hour session, with the usual Go Center admission charge waived; or $20 per two-hour session for Youth (17 and younger) and “voting members” of the Go Center (Quarterly, Yearly, and Lifetime members). If the tuition presents a barrier, please speak with (or email) the Programs Manager about a scholarship. Your first 10 visits are free (including these lessons). Youth visits under 18 are always free. 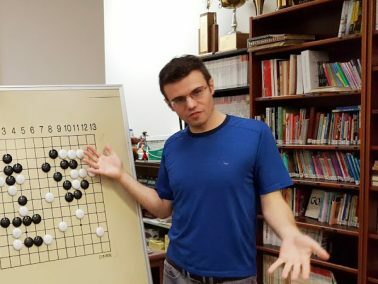 Tuesdays and Saturday afternoons are also good for advanced beginner and intermediate players (“kyu players”) who are looking for teaching games with stronger players, or games with players at their own strength. On Tuesday evenings we have 30 – 50 players visit us, so that everybody can find a game to suit their needs. We generally have fresh baked bread and take out pizza available on Tuesday evenings, too. Saturdays are smaller, but it is easy to find a game then as well. Advanced players (dan players) can often find games on Saturday afternoons, especially in the late afternoon. On Tuesday afternoon and evenings we always have players up to 3 dan; we often have 6 dans with us. You may phone us at 206 545-1424 to see which teachers are available. We also have workshops by visiting professionals. Please check our Events Calendar page to see if any workshops are currently scheduled.